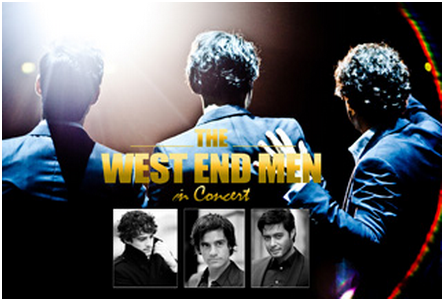 Starring three West End veterans, Lee Mead, Stephen Rahman-Hughes and Ramin Karimloo, the West End Men present a selection of key songs from some of their most famous roles together with a collection of some of the world’s best known show tunes. As Mead, Rahman-Hughes and especially Karimloo take to the stage, the cheers are almost deafening, for Karimloo the reception stops him literally in his tracks – asking the musical director to give him his key again as the crowd refuse to be quieted. The three then rip through some of the most famous songs in musical theatre with some pop favourites thrown in for good measure. The quality of the singing is top-rate which is only to be expected from performers with their pedigree, but it is Karimloo who is the stand-out star of the night, his voice making the others look pedestrian in comparison – it is easy to see why he is regarded the West End’s best, and favourite star. There isn’t much more to say except that this was top quality, a sheer joy to watch and it sent the audience home hoarse of voice but with a spring in their step and a song in their heart. Hopefully it won’t be long before the trio make a welcome return to Glasgow. An excellent night’s entertainment.